The freshwater lakes and River Nene form the heart of Irthlingborough Lakes and Meadows and provide a variety of habitats for wildlife. The more southern lakes, including the Ring Res are surrounded by dense vegetation, including willow scrub and reeds. Here you can find birds such as reed and sedge warblers as well as coots, moorhen and little grebe which like to hide amongst the stalks of the reeds. The deeper waters are also home to larger fish, such as carp. Wildlife to look out for includes tufted duck, grey heron, cormorants, swans and egrets, as well as dragonflies and damselflies in the summer. At the northern end of the site, much of the vegetation has been cleared from around the lake edges in order to create the open floodplain meadows that are so important to over-wintering birds. 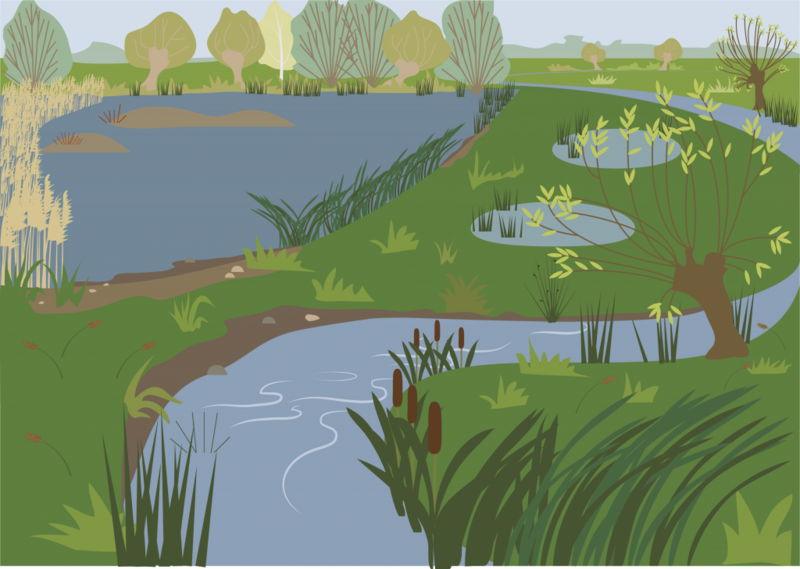 Islands have been created on some of the lakes to provide less disturbed habitat for over-wintering lapwing and nesting common terns, whilst improved drainage between the lakes has reduced prolonged periods of flooding.